Recently, there was a pretty alarming article in the news about crisis pregnancy centers and their advertising techniques. For eons now, CPCs have spread lies and misinformation, so this is not a new development by any means, but the tidbits I found in this piece really pissed me off. 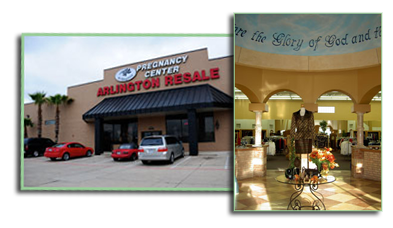 A young woman in North Texas went to what she thought was an unbiased options counseling center, called the Arlington Crisis Pregnancy Center. Unfortunately, she was gravely mistaken. She was shown a 20-minute video of "fetuses, complications and horrible things." Then a counselor told her that 50 percent of women who have an abortion get breast cancer and 30 percent die within a year of the procedure. 50% of women who have an abortion get breast cancer? Not according to the World Health Organization, the U.S. National Cancer Institute, the American Cancer Society, the American College of Obstetricians and Gynecologists, or the American Medical Association. 30% of women DIE within a year of the procedure? Talk about fear mongering! So, just to take a quick minute to think about this, if there were 45 million (legal) abortions from 1973 – 2005, I guess then 13.5 million died because of it. Or, more then everyone in the entire state of Illinois. I am just baffled at the total shithead nature of CPCs. Why in God’s name (pun intended) would you lie to these women? Scare them? Terrify them? This young woman, unsurprisingly, chose not to return to this terrible place for more medical work. When Sarah didn't return for a sonogram, the counselor tried to contact her at home. But instead of talking to Sarah, the counselor talked to her boyfriend's mother, who was visiting. "She was told I was pregnant and considering an abortion and that she needed to stop me in order to save me," Sarah said. AGAIN. SERIOUSLY? The best part about this is that a real abortion clinic would NEVER do this. Further, if one did, that would be a HIPAA violation. However, since CPCs are not "real" clinics, and thus do not fall under the same rules and laws, they can pretty much do whatever they want. Seems fair, huh? CPCs routinely have confusing signs saying they offer “options” counseling (abortion definitely not among them), contraception, etc. As for accusations that the centers are deceptive, Joe Young (vice president of operations for Heartbeat International) said they're truthful about the services they provide. When they advertise that they provide family planning, they do. It's just in a natural way, not involving pills or contraceptives, he said. REALLY? The double standard around abortion services is really frustrating. Can you imagine if this happened in a different setting? Hello! Welcome! We offer lots of cancer treatment services! ……Oh – you wanted traditional, medically accepted forms of treatment? Chemotherapy and the like? Oh no, sorry. We offer the natural method. Praying. By the way, if you get chemotherapy, you will rot in Hell and gnash your teeth for an eternity. And if you don’t return for your follow-up visit I am going to call your phone repeatedly and tell members of your family you have cancer. So... how do we fix this? I'm not sure what the best solution is here. How do we regulate places that make themselves appear to be medical facilities, but are not? There can't really be a law about lying. Certainly that is awful and disingenuous, but that is impossible to regulate. I think some sort of patient confidentiality needs to be put into place. It is unfair to try to convince women you are a medical facility and thus abide by those laws, when in actuality you do not and have no intention of respecting that woman's privacy. Further, I think it is perfectly reasonable to require CPCs to have signs out front stating they do not provide abortion services or contraception, if they do not. Similarly, abortion clinics advertise on their signs they offer abortions. The fact that CPCs are against having to put this information out in front of their facility proves my point. They want to lie to women; create the illusion of being a real abortion clinic. If the fact they do NOT offer abortion is apparent, that stops women from coming in who have no interest in their services. AKA their target population. God forbid we stop putting women through unncessary stress and harrassment. Unbelievable! Way to get into someone's family business and completely wreck everything! Telling your boyfriend's mother that you're pregnant first of all, and then telling her that you wanted an abortion? Unacceptable! I know, right! In no other situation would anyone think that is even remotely okay. There should be protests in front of CPCs against CPCs who lie to women, like there are in front of abortion clinics against abortions. I know that wouldn't really be a solution, but UGH. These people are so infuriating. "I am just baffled at the total shithead nature of CPCs." Well, for whatever it's worth that comment made like my whole weekend. I cannot BELIEVE these places can get away with violating confidentiality like that. Sure, only certain providers/entities are subject to HIPAA, but HIPAA isn't the only thing that is supposed to make it illegal for somebody to reveal your medical information to others, right? I hope Sarah sued the chastity belts off them.